The elegant finishing hole at The Harbor Club. Harbor Club on Lake Oconee opened over 25 years ago and is still receiving high praise from golfers, writers and magazines alike. In fact, Harbor Club has been given 4½ out of 5 stars by Golf Digest as a “Best Places to Play” for the past 3 years running. Earlier this year, Golfweek Magazine rated Harbor Club #3 on its State-by-State list of Best Courses You Can Play in the State of Georgia. With six sets of tees, Harbor Club offers a suitable distance for every caliber of golfer. The course measures 7,048 yards from the tips with a course rating of 73.6 and a slope of 138. Most guys will find the Green Tees (6,223 yards, 70.0/129) to be a challenge that still leaves them with a little bit of dignity intact. The Ladies Tees play 5,169 yards (66.6/111). Remember to choose the set of tees that best suit your game and you’re sure to have a good time. This Tom Weiskopf – Jay Morrish designed golf course is nestled along the coastline of Lake Oconee and is fun to play for players of all skill levels. From the tees, you’ll find undulating fairways with generous landing areas, although fairway bunkers have been strategically placed to catch some errant tee shots. Almost every hole is tree lined, and, although the trees are not densely packed, if you’re in them, you’ll find yourself having to punch out, thus wasting a shot. For the most part, Lake Oconee provides visual aesthetics and really only comes into play on four holes. In addition to a fabulous golf course, Harbor Club has some great practice facilities including a full length driving range with targets, where you can hit every club in the bag, along with a short game area and large practice putting green. The pro shop is home to some of the latest golf fashions and logoed apparel. Number 3: Par 4, 345 yards. Leave driver in the bag on number 3. “Stone Bridge” plays 345 yards and features water all down the right side and out of bounds left of the cart path. An accurate second shot is needed with the water guarding the right side, almost to the edge of the green. Number 4: Par 4: 430 yards. The par 4 5th hole has an interesting moniker – “Horses Won’t Cross the Creek”. The hole brings into focus Lake Oconee for the first time and creates a wonderful backdrop behind the green on this lengthy par 4. Your second shot plays downhill, giving back some of the overall length, but be sure to hit the right club on approach. The long, narrow green creates a three-club difference between front and back pins. Number 4 is what I would consider to be a true test of golf. Number 11: Par 5, 553 yards. The dogleg left 11th is nicknamed “The Chimney” and is just flat out long. It’s tree-lined to keep you honest off the tee and the fairway bunkers that flank both sides of the landing area have seen their fair share of action. The green is well protected in the front by bunkers on both sides. A front pin placement can make for an interesting approach shot. Number 14: Par 5, 523 yards. Perhaps the most intriguing risk/reward hole at Harbor Club is the #1 handicap par 5, 14th nicknamed “Wildflower”. For the average player, the hole plays as a dogleg left, around a large oak tree and treed marsh area. However, for the thrill seeker, you can play your drive left of the giant oak off the tee, taking the dogleg out of play and giving yourself a clear, albeit lengthy, shot to the green. A great drive from the Blue Tees will still leave a shot of over 230 yards to the middle of the green, of which about 200 is carry over the marsh. Two good shots back to back and this feat is easily accomplished. Even if you just clear the marsh area, you’ll be looking at a makeable up and down. This has to be one of the most challenging risk/reward opportunities in the state. Number 15: Par 4, 281 yards. After the thrill of conquering the course’s toughest hole, it’s on to the shortest par 4 on the course. “Hidden Springs” plays 281 yards from the Blue Tees and from an elevated tee box, you get the idea that driving the green shouldn’t be a problem. Many will try, most will come up short, which isn’t a bad thing (unless your buddies succeed); you’ll have a manageable up and down with a good drive. If you decide to play it as a two-shot hole, be sure to avoid the fairway bunkers on either side off the tee. The water behind the right side of the green shouldn’t come into play. Number 17: Par 3, 174 yards. If the bunker between the water and the green on “The Marsh” par 3 17th were longer, it would be a carbon copy of number 17 at Bay Hill. From the Blue Tees, it plays about the same length as Bay Hill’s Gold Tees, with the same carry over water to an angular green. It’s a great par 3. Number 18: Par 4, 415 yards. “Double Cross” is a very challenging finishing hole that requires a well-executed tee shot over a creek, which runs parallel to the fairway the entire length of the hole. You’ll need to carry the water a second time in order to reach the green. The green is large and features some significant undulations, making for some interesting pin placements. Take a par and run. Last Word: After your round, be sure to stop by the clubhouse for your favorite post round libations or a bite to eat. Lunch is served Tuesday – Saturday from 11 am – 5 pm and you can grab dinner Thursday – Saturday from 5 pm – 9 pm. The lunch menu features some amazing sandwiches and burgers, including a “Build Your Own Burger” where you select from a number of toppings. The French Dip, Reuben and Chicken Sandwiches are also great choices. The Culinary Team at Harbor Club pulls out all the stops for dinner. Start off with a basket of eggplant French fries and then indulge in entrees such as Salmon Paillard, Shrimp Angel Hair Pasta or Rack of Lamb. After dinner, treat yourself to a Chocolate Martini, made with brownie cubes, chocolate mousse, whipped cream and candied nuts. After all, you deserve it! If you’re looking to relocate to the Lake Oconee area, look no further than Harbor Club. There’s a lot more here than just an outstanding golf course. There’s a junior Olympic size pool, tennis and pickleball courts, and the 12-acre Grove – a complex that includes a state-of-the-art fitness center, hiking and Fit-Trails, a quarter-mile running track and an event/sports field. Boat enthusiasts will feel right at home at Harbor Club. The award-winning Lake Oconee Marina (Best Recreational Facility in the Southeast) provides easy access to the lake as well as boat storage and a wide variety of services to help you enjoy life on the lake. This includes a 72-slip dry stack boat (soon to be 300 slip) storage facility, boat ramps, fueling, watercraft rentals and a convenience store. If that’s not enough, there’s always Harbor Club’s Boathouse Restaurant, where you can motor in by boat or by car and enjoy burgers, BBQ, ribs and fried catfish all tastefully presented and served piping hot. During the summer, there’s live music at the Boathouse on Friday and Saturday nights from 11am to 9pm, and Sundays from 11am to 7pm, May through September. It’s also available to host private events. Harbor Club is also a great venue for weddings. The Stables provide a beautiful, pastoral setting for weddings, receptions and other special events. As you can see, Harbor Club has a lot to offer. The golf course is one of the few courses on Lake Oconee that the public has access to and I suspect at some time it too will go private. Until then, if you’re in the area and are looking for a great place to play and be treated like you belong, give Harbor Club a try. 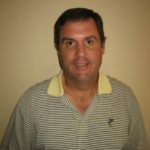 You can call them at (706) 453-9690 or visit them online at www.harborclub.com. The site also has all kinds of information on the community and surrounding area.